CLOSEOUTS. 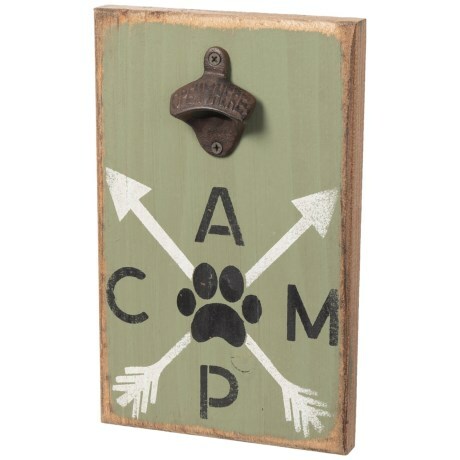 Seven Anchor Designsand#39; Camp wood bottle opener is a fitting and functional wall accent for patio spaces and bar areas. Available Colors: ARTICHOKE.